The economies of Turkey and Egypt, remarkably similar until the early 1980s, have since taken divergent paths. Turkey has successfully implemented a policy of export led industrialisation whilst Egypt’s manufacturing industry and exports have stagnated. 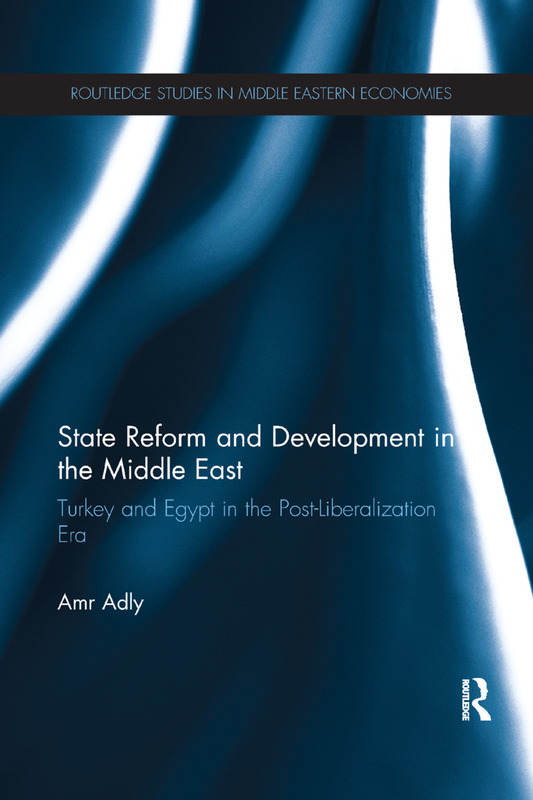 In this book, Amr Adly uses extensive primary research to present detailed comparisons of Turkey’s and Egypt’s state administrative and private sector capacities and links between the two. The conclusion the author draws is that the external contexts for both were so alike that this cannot account for their diverging paths. Instead, the author suggests a counterintuitive yet compelling explanation; that a democratic polity is far more likely than an authoritarian one to engender a successful developmental state. Emerging in the wake of the January revolution in Egypt, when hopes for democratisation were raised, this book provides a fresh perspective on the topical subject of state reform and development in the Middle East and will be of interest to students and scholar alike. Why does state reform vary among developing countries?